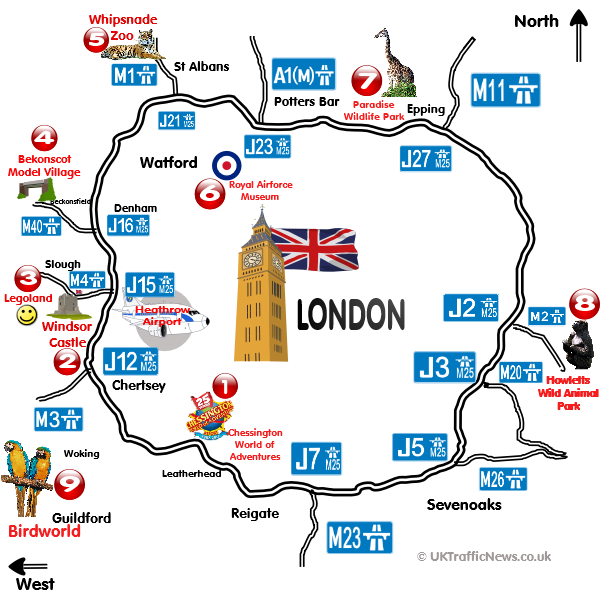 Below is a map of some great days out around the M25 and attractions to visit near the M25 motorway. We also feature a map of all the M25 Junctions and M25 motorway connecting junctions. Check the M25 traffic news here before you set off around the M25 for your day out to one of the visitor attractions.